Yusoff Abdullah treads into the realm of batik this time, after having created many masterpieces with the countryside as his subject. 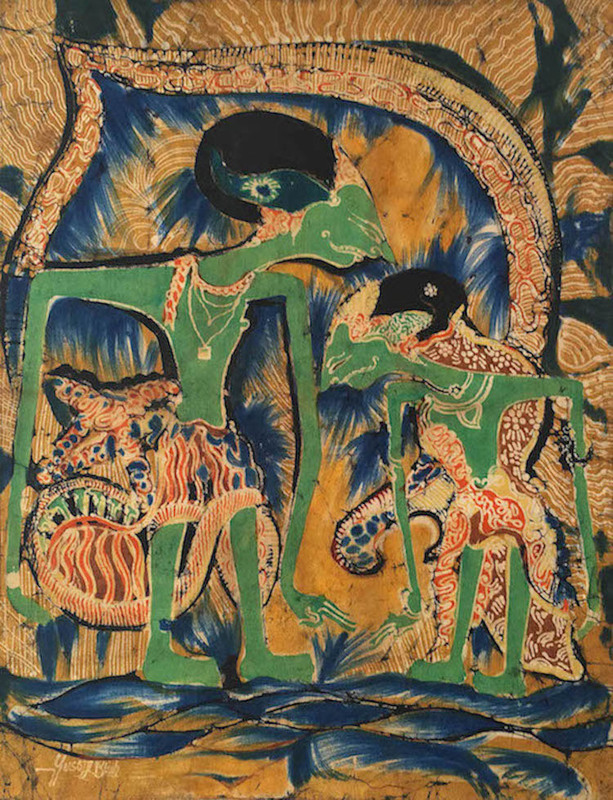 Wayang kulit is the subject of his painting this time, likened to the Kelantanese shadow play that he was inspired by when he was younger. Being one of the pioneer of weaving traditional and ancient imageries with modern visual art, he has taken his cues from his roots as a Kelantanese Malay, that form of culture and tradition is illustrated in this piece. It is a form of cultural identity and it is done beautifully. Wonderfully and colourfully done, this shows that the most beautiful of art arrangement can be created out of the simplest of things, as shown by the genius artist himself.